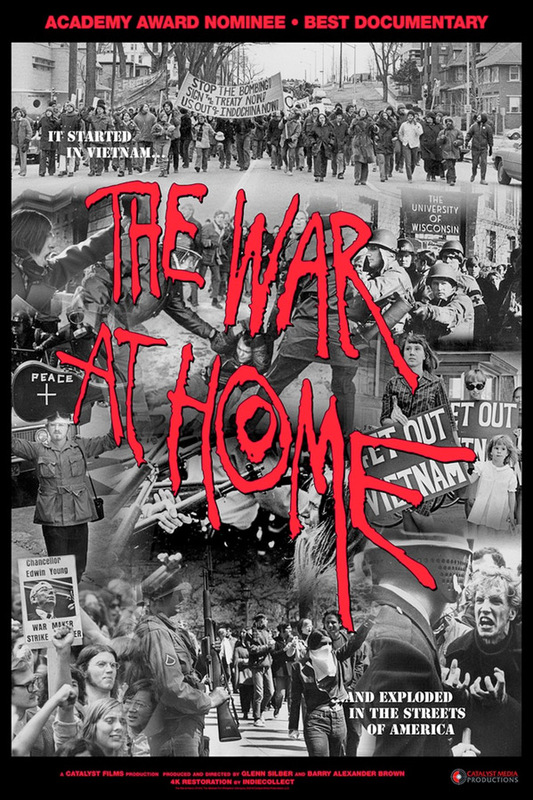 "This is Hometown, America in revolt…" Catalyst Media has debuted an official trailer for a restored 4K re-release of a classic documentary titled The War at Home, which was nominated for Best Documentary in 1980 (though it lost to Ira Wohl's Best Boy). The film is an intimate look at the impact of the war in Vietnam on one American city, using Madison, Wisconsin and the University of Wisconsin as a microcosm for the 1960s national Antiwar Movement. From Metrograph: "Stereotype-busting interviews with student activists, police, and Vietnam vets illuminate a treasure trove of rare archival film. Featuring footage from the earliest antiwar protest in 1963 to the bombing of the Army Math Research Center in 1970 to the end of the U.S. war in Vietnam, this impassioned, vital work of politically charged non-fiction is newly restored in 4K and re-released in yet another period of American political conflict and turmoil." It looks even more affecting now. The War at Home is an Academy Award Nominated feature documentary that tells the story of the impact of the war in Vietnam on one American city, using Madison, Wisconsin and the University of Wisconsin as a microcosm for the 1960s national Antiwar Movement. The film vividly depicts a decade of antiwar resistance from the earliest Vietnam war protest in 1963 (with male protestors wearing suits and ties); to some of the most violent antiwar demonstrations of the era (1967-72); to the signing of the Paris Peace Agreement (1973) that formally ended the U.S. role in the war that tragically cost 58,220 American lives, and more than three million Vietnamese deaths. Using a treasure trove of all the local TV news film shot in Madison in the 1960s, illuminated by more than twenty original on-camera interviews with student antiwar activists, university officials, Vietnam veterans, community leaders and police, The War at Home details the actions and events that turned the Midwestern city of Madison into one of the major domestic battlegrounds of the Antiwar Movement. The War at Home is co-directed by filmmakers Glenn Silber & Barry Alexander Brown. The new 4K restoration is premiering at the New York Film Festival. For more info, visit Kickstarter. The War at Home 4K will be re-released in select US theaters starting October 12th.